St Andrew's College found that the intranet it ran for the student's parents wasn't being used. Parents said that it was difficult to navigate, relevant information was hard to find and it wasn't being updated regularly. The answer was to upgrade to SharePoint 2013 where it gave designers much more control over how it might look and feel. When St Andrews College needed to fill its knowledge gaps in moving from SharePoint 2007 to SharePoint 2013, it called in Stratos Technology Partners. St Andrew’s College found that the intranet it ran for the student’s parents wasn’t being used. Parents said that it was difficult to navigate, relevant information was hard to find and it wasn’t being updated regularly. The answer was to upgrade to SharePoint 2013 where it gave designers much more control over how it might look and feel. When St Andrews College needed to fill its knowledge gaps in moving from SharePoint 2007 to SharePoint 2013, it called in Stratos Technology Partners. St Andrew’s College is a decile ten fully independent co-educational school for pre-school to Year 13 students established in 1917. It’s a school that prides itself on spiritual Presbyterian traditions and high academic standards. 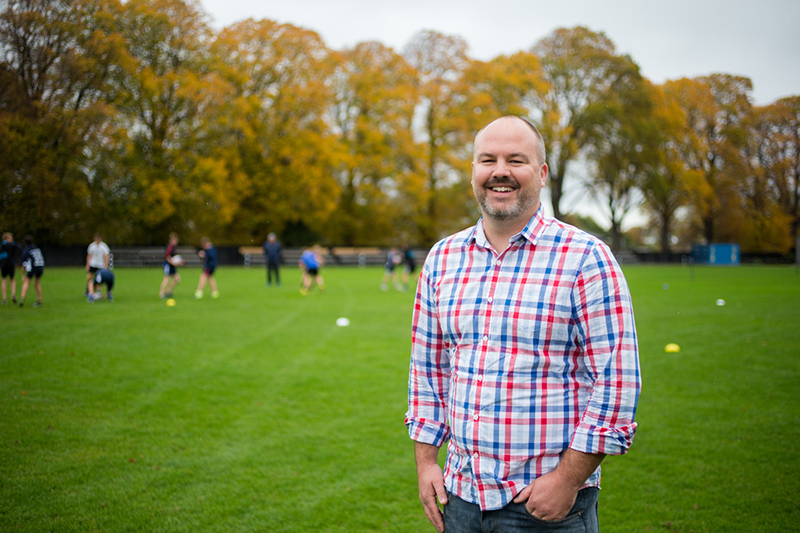 Over the years, St Andrew’s College has built a reputation for leading New Zealand schools in integrating technologies with its teaching methods. It has done many innovative things with Office 365, OneNote and tablets. St Andrew’s College has a five-member IT team that looks after all the information technologies operated by the school. It recently recruited a technology integrator who is tasked with assist teachers on developing new techniques that integrate new technologies with their teaching methods. They recognise that good communication between all the stakeholders connected to the school is an important factor in building a culture of achievement and success. “We have a public facing website, an intranet for parents of students and StaffNet which is an intranet for staff members. On both intranets, we used SharePoint 2007. Parents found that it was difficult to navigate, information was hard to find and that information wasn’t being updated regularly. We also didn’t have consistency of branding and user interface design across all three systems,” says Sam McNeill, Director of ICT at St Andrew’s College. “Stratos helped us with the migration plan moving from SharePoint 2007 to 2013. If the earthquake hadn’t have happened we probably would have migrated to 2010 first,” McNeill says. “Our Communications team is there to grow and nourish the brand both externally and internally. We’ve had conversations internally about what a brand is, and how everyone has a responsibility to help nurture the brand. That helped enlist the support of all the staff members in feeding us information for new releases, stories and photo opportunities. “We also manage all the internal communications to our stakeholders, which includes developing our communications strategies and producing various publications like handbooks, diaries and the Curriculum book. At times we work on key projects, like planning and managing the change process around the new parent portal. "We have a wonderful graphic designer on our team so we designed the original skin for it to ensure that it fitted our branding, we then took it to Stratos who told us if it was possible to build. Everything was really smooth. When it came back there were a few tweaks to fine tune. Anything we pushed back on Stratos was really respectful of, they wanted to resolve the issue and we were able to work it through without unnecessary conflict." “In the independent school industry, another challenge for communications and marketing is around the traditional expectations of what we think our customers want, grasping how fast that change is happening. “We’ve shifted a long way in the last four years and we have to continue in that direction. “When I first joined St Andrew’s College, I knew we needed a new intranet. The intranet was difficult to navigate and definitely didn’t reflect our brand. It was one of those things that had been set up and not been managed afterward, probably for lack of resources. People just kept adding things and it became this great big ugly honeycomb where it was impossible to find anything,” says Eathorne. “We started looking at the whole intranet and we broke it into two halves. One side was the Parent portal, that gave Parents access to the information they needed and the other was the Staff portal (or StafNet”). The Parent portal was simpler and we were getting so many complaints from Parents for it that we thought that it would be an “easy win” to do that one first. “Stratos were really good about how long that consultation took to do because we had to fit in with everything else we would routinely do. Stratos also advised us about the questions we were asking and to make sure we were on the right track and we got some good advice around that — normal project management stuff — a good experience on the whole. “We went with best practice and kept to everything being within one to three clicks away for the user. We kept to that one to three clicks standard and designed a shallow site. We looked hard at what needed to be there and what didn’t. It was a wonderful marriage of the Communications team and the IT team with this nice facilitation by Stratos to push us along and make sure we were on the right track. MacNeill says, “We also had to look carefully at enterprise licensing because we seriously considered using InfoPath forms and also the ability to do two-way read/write operations from SharePoint. Our main Student Management System (SMS) also uses SQL as a back end, and we would have liked to send and receive information in real time with the new SharePoint system. “It would have been particularly useful around forms such as approvals for school trips and other things. In the end, we decided not to go there because Enterprise licensing was a significant cost and we couldn’t make the return on investment analysis work. “We appointed someone in our IT team to liaise between the line managers identified by Francesca to get content onto the new system. He was also tasked with issuing new permissions and provide training. Ryan worked at the infrastructure level and liaised directly with Stratos. “The project was delayed by several weeks. That was not Stratos’ fault, it was more a function of the sheer number of people and amount of content involved. We couldn’t do a soft launch, it always had to be a “big bang”, there was so much change from what we had to what we were going to release, and because it was going to be public facing, it had to be as near perfect as possible. “For a while there, our databases starting ballooning in size as our content migrated across, fortunately Stratos came out and fixed it pretty quickly by implementing file compression. Eathorne says, “We measured our success through parent feedback and their reaction to the new system. We also did some follow up around our managers to see what they thought of it. Once our analytics were set up we monitored them to confirm that our usage had grown considerably. The number of negative comments just dropped away all together. “We made sure that our users, like the NCEA and the Careers managers, were comfortable with using it. They were getting continual feedback on their own areas, so we wanted to make sure that we were hearing that. We also wanted to hear from wider staff because they would go to the site too. MacNeill says, “Stratos are great to deal with; they were really supportive; we were once invoiced for work that was really their problem; they were quick to acknowledge that and they showed flexibility in taking on that feedback. “Our experience with Stratos was positive. Having said that, what we do isn’t particularly complex in regards to SharePoint. The permissioning, calendaring and everything else are pretty standard features. We aren’t using the more advanced features of SharePoint such as InfoPath forms and versioning. “One area where we are likely to explore further is to replace our shared drives where our staff keep their teaching resources and use SharePoint instead for that. The upside of that is that our staff can access their materials anywhere. The downside is everything has to be downloaded from the cloud, which at the moment is still hosted in Singapore. Although the latency isn’t currently bad, hopefully when the Azure data centre is set up in Sydney that will make a big difference for us. We’ve already opened up a discussion with Stratos about progressing this. “Migrating from SharePoint 2007 to 2013 meant we gained a lot more control over the look and feel, so we made it a lot easier for parents to navigate and since it started we’ve seen usage markedly climb. Eathorne says, “What impressed me about Stratos: they were down to earth people, that you could talk to from a lay person’s sense, I was thinking because I’m not a technical person, am I the right person to be doing this site map? Yes, I was because I had done all the consultation, and so I knew what had to be in the parent portal and my job as Head of Communications is to establish and understand that. “It was really nice to know I was working with a group of people, not just internally, with our IT people but also with Stratos who would really support me on that, that thought I was perfectly capable of doing it, and were happy to give me any help at any time. I really felt well supported, and felt comfortable to ask any question. I never felt stupid. They were very approachable. They seemed to know their stuff. The suggestions that they made, especially on the design side, they took the time to explain it, they suggested not putting too much below the scroll, we came up with a few things that weren’t easy to implement so we worked through all that pretty well.